With over 40 years experience we are your partner for exclusive properties at the Chiemsee – reliable and competent. Luxury villas and exclusive villas, rustic farmhouses or cottages, manor houses, apartment buildings, condominiums, plot, lakeside plots or estates, castles, commercial properties, rental properties or real estate as investments around the Chiemsee. In 1974, Henriette Burde started with her independence and founded the company named after her, „Henriette Burde Immobilien„. Even then, the core area of the company focused on consulting and instrumentality exclusive and luxury properties around the Chiemsee with southern Alps. Due to the rise in demand in the former real estate industry and the resulting growth it was for the company – Henriette Burde Immobilien -in 1979 possible to take over the company Immovest GmbH in Munich. Since the company successfully conciliate, as a member of RDM and IVD. A competent and friendly consulting is for us the basis of our services. undertook the daughter Bettina Burde the management of the family company „Immovest Immobilien GmbH“ with the headquarter at Westerbuchberg, Übersee. International transactions were in 1984 made – in Montreal (Canada) and on the recommendation of the former German diplomats „Mr. Deboer„. The successful instrumentality the „Immovest Immobilien GmbH“ was assigned by the then Mayor of Houston, Texa (USA) to take over a senior residence projects – for investors from Germany. Due to the positive reputation of our expertise, we integrated the suffix „international“ in our company name as „Immovest internationale Immobilien GmbH„. Since 2014, the third generation – Vivien Zwick – is present in the team of the family company and she is responsible for the marketing. In 2014, „Immovest international Immobilien GmbH“ celebrated its 40th Anniversary. Also, the IVD acknowledged this with a ceremony. Henriette Burde started to work in 1971 in the real estate company Josef Erl in Munich as management assistant in real estate. She discovered alongside her abilities to work together with people, her passion for real estate. In 1971 she distinguished herself as a star–broker of the company Immobilien Erl, for the sale of the village project „Siegsdorf-Vorauf“, where she take over the sales management – for the company Westropa. Since 1982 Henriette Burde is the owner of the family business „Henriette Burde Immovest Internationale Immobilien GmbH“. With her many years of experience and her reputable relationships she is on hand with help and advice for you! The managing director Bettina Burde is responsible for international business. In addition, she supports her mother in the management of objects, such as maintaining customer data and the data of properties. In addition to these tasks, she works in the customer service. 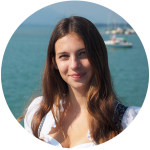 has studied business administration with focus on controlling and accounting at the University of applied Sciences of Munich, with the additional focus on project management. While studying Vivien was employed by BMW Group and had a scholarship of Deutsche Bahn AG. In October 2015, she took up her master’s studies in industrial engineering at the University of Augsburg. 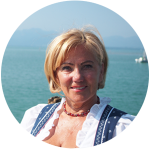 In Immovest Immobilien GmbH she is primarily responsible for commercial customers and the marketing area and act in the customer service. Personally you can visit us in our office – in Westerbuchberg 79, 83236 Übersee am Chiemsee.